Back in OS X Mountain Lion, Apple added the systemwide Dictation tool, similar to Siri in iOS. You pressed a key combination (by default, the Fn key twice) and started talking to your Mac, and it recorded and transcribed what you said. But this feature required an Internet connection and worked for only brief periods of time—about 30 seconds—before your Mac stopped listening to your speech and headed off to Apple’s servers to have your words transcribed. My biggest complaint about this implementation was that it didn’t give you any feedback about your dictation until your transcribed text returned to your Mac. If something went wrong, you had no idea until you were (a) done speaking and (b) OS X had finished transcribing what you said. If something went wrong, you had no idea until you were (a) done speaking and (b) OS X had finished transcribing what you said. Having this transcription-support file on your Mac dramatically improves the functionality of OS X’s built-in Dictation feature. Now, when you press the Fn key twice and start speaking, the words appear on screen as you speak. The feature works anywhere on the Mac that you can enter text, no training or customization necessary. Just press the key and start talking. In fact, it’s how I’m adding this very text. Overall, I really like the feature. With my Retina MacBook Pro, the two microphones are so good that I can even dictate without first donning a headset microphone (a traditional requirement for dictation). I find myself using it throughout the operating system and in places that I’d never thought of using dictation before, including online forms and annotations to PDF files. It’s great. But Mac dictation isn’t new to Mavericks. I’ve been dictating to computers for a long time. (When I first started dictating, you … had … to … talk … like … this … leaving … a … space … between … each … word.) My usual tool is Dragon Dictate for Mac. So when I heard that Apple was improving the Dictation tool in OS X, my first question was: How will it compare to Dragon? 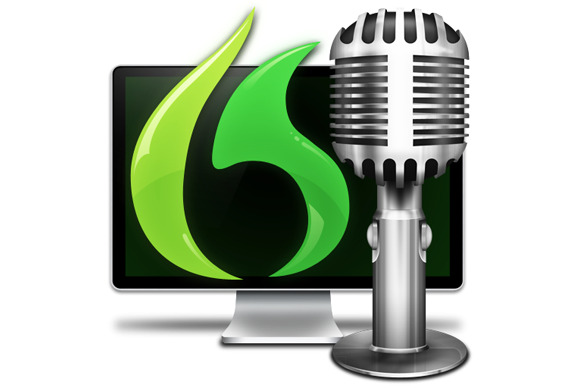 When I heard that Apple was improving the Dictation tool in OS X, my first question was: How will it compare to Dragon? And so I decided to put the two dictation systems to the test. I took a single passage of text and read it aloud to my Mac, first using Mavericks’s built-in Dictation tool and then using Dragon’s. The differences were striking. Just using the two products is a different experience. Dictation software doesn’t understand speech the same way humans do. We continually and instantaneously parse the words we hear based on context; that’s how we know the difference between “ice cream” and “I scream.” Computers do much the same thing, but they aren’t as good at it. What this means is that, in Mavericks’s Dictation system, words appear on the screen as I speak them, but in a disjointed way, as the system tries to figure out what I’m saying. The words themselves and their order change as I get deeper into a sentence; things keep switching around. Sometimes the screen gets so jumpy that it’s distracting. Dragon Dictate doesn’t put words on the screen as fast as Mavericks’s Dictation, but the words it does put up are usually closer to the final transcription than in Dictation. The real test, however, is accuracy. To assess that, I used both the Mavericks Dictation tool and Dragon Dictate to transcribe a four-paragraph, 268-word passage of text. I ran through the passage three times in Mavericks, to iron out some kinks, and just once in Dragon Dictate. I didn’t use my existing user profile in Dragon Dictate, in an attempt to make the playing field even. The results from Mavericks’s built-in Dictation tool. The results? Both programs made mistakes. Mavericks Dictation’s errors were more frequent and more ridiculous, however. For instance, when I said “detail,” it transcribed “D tell.” When I said “expository,” it heard “Expo is a Tory.” The program had particular problems with the sentence “Students must be jarred out of this approach.” I spent several minutes trying to get Dictation to transcribe “jarred” and “jar” correctly; each time it transcribed them both as “John.” I also found it odd that Dictation refused to insert a space before opening quotation marks; it failed to do so in every instance of my test. 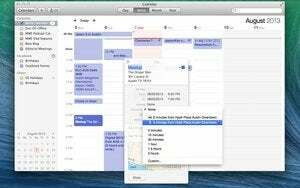 In the end, Mavericks’s built-in Dictation tool made 28 mistakes. Dragon Dictate had fewer problems but still made some mistakes of its own. It too tripped on “expository,” but less hilariously than Dictation, writing “expositors” instead. It insisted on transcribing “class scored” as “classic lord.” Overall, it made nine mistakes. The output from Dragon Dictate. So the final accuracy scores were 96.6 percent for Dragon Dictate and 89.6 percent for Mavericks’s Dictation. Although that difference might seem insubstantial, and although Mavericks still got a very high B, if you were to dictate a passage of 10,000 words, the text would have more than 1000 errors if you used Mavericks’s Dictation tool, versus about a third of that in Dragon Dictate. This result isn’t so surprising. Dragon Dictate is a paid application with several years’ worth of development effort behind it. Also, Dragon Dictate requires you to spend time training it before it will even work, so it has a much better idea of your voice and the way in which you speak. In other words, Dragon Dictate is a fully developed, feature-rich product; Mavericks’s Dictation, not so much. Then again, Dragon Dictate costs $200, while the Mavericks tool is free. The way I see it, Mavericks’s Dictation tool is like Dragon Dictate Lite. Nevertheless, I’m finding use for both of them. The Mavericks tool’s best feature is the ability to activate it anywhere on my Mac and immediately start dictating; I’m using it in all sorts of unexpected places on my Mac. Dragon Dictate is not as easy to get working in any context, but when you need to dictate long passages of text, its increased accuracy makes it the clear choice.